It was a victory, but it could hardly count as a truly revolutionary one. Grizzled, aged but formidably stirring, Mahathir Mohamad, Malaysia’s former prime minister, is set to form government as the world’s oldest elected leader. His Pakatan Harapan coalition ventured past the 112 seat threshold required to form government, while a weary Barisan Nasional limped through with 79. Shocks were registered some four hours after voting closed. Transport Minister Liow Tiong Lai, head of the Malaysian Chinese Association, fell to Wong Tack of PKR. Then came the caretaker health minister S. Subramaniam. The ballot box slaughter would continue for the ruling party through the night. This election result is only surprising if one considers the seemingly immutable nature of BN’s rule, which has lasted six decades and resisted change with studied fanaticism. Prime Minister Najib Rajak had thrown everything bar the kitchen sink at this election, enacting laws to curb the reporting of “fake news” and holding the election at an inconvenient time of the week, but even those actions could not conceal the rot that had set in. The decay was such as to give Najib international notoriety, featuring the alleged misappropriation of funds from the state investment fund 1Malaysia Development Berhad (1MDB). Mahathir, hardly a squeaky-clean figure himself, took this as his cue to return to Malaysian politics, this time under the aegis of a new party, Parti Pribumi Bersatu Malaysia. Barisan Nasional was very much a beast Mahathir understood, having lead it for 22 years. He was its stalwart and steward before retiring. As prime minister, he pursued a modernisation agenda at some cost while also poking international rivals with vigour. “Asian values” remained a favourite theme of his, fashioned to outwit advocates of greater civil liberties. Economically, Mahathir was a dark sheep. He refused, much to the surprise of common wisdom at the time, to accept the orthodoxy of the International Monetary Fund clique in the wake of a financial crisis that burned through various Asian economies in the late 1990s. Capital controls on global investors were put in place, a heresy that enraged such currency speculators as George Soros, deemed by the then prime minister as one of various “unscrupulous profiteers” engaged in an “unnecessary, unproductive and immoral” trade. Currency trading, argued Mahathir, “should be made illegal.” Soros preferred to think of it as unstoppable. Mahathir, it seemed, won through on that one. He was also its crudest of weapons when required, manipulating ethnic insensibilities and political weaknesses for reasons of political survival. His 1970 publication The Malay Dilemma advanced the cause of ethnic Malays in the face of their more productive Chinese counterparts, an assertion of ownership and blood purity that seemed, at best, anachronistic. 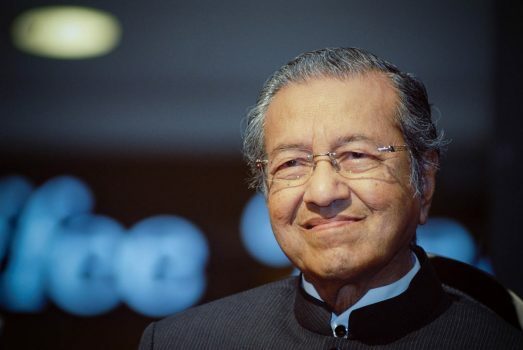 Malaysia’s ethnic composition – Malay, Chinese and Indian – has never been the rosy one recounted in state propaganda, but Mahathir managed to place himself, if somewhat falsely, above the fray as a unifying voice tempering violent Islamic tendencies. He always remained the foundational pugilist, banishing opponents and anointing successors in a semi-autocratic style that won him fame. His understanding of politics is such that he will even promise enemies relief and rehabilitation if required, the most notable of this being his courting of his jailed rival Anwar. Even now the agreement Mahathir supposedly hammered out with Anwar looks shaky and unsure, sketched in the heat of political expediency. It must involve the securing of a royal pardon, then a by-election victory to enable the former deputy prime minister to assume the reins of power from his nemesis. Yet even at the age of 92, Mahathir’s political instinct is animal like and impossible to contain. The shock here was not his victory but the lack of variety and options in Malaysian politics that might count as reform. The mummy, albeit in different wrapping, has returned. I was in Malaysia during Konfrontasi after their Independence was declared. During that time I learned a lot about Malaysia, government and the people. The official secrets act, currently prevents me from discussing the details of the attempt to kidnap the Malaysian royal family and hold them hostage during negotiations for control of east Malaysia. Mahathir, like Soekarno, was a true patriot. He was the first to expose some of the truth behind the remote hijack of MH 370 and subsequent events. Interference by western governments and various intelligence agencies still continues, so it will very interesting to see how the new government deals with the media and the West. Sure that some other leaders will be nervous observing not Mohamad but what happens to Rajak; a prime driver of illiberal leaders’ obsession about remaining in power has been to preserve their own corruption and freedom.